In 2011 the South Carolina Legislature designated the SCBA as the group that names the South Carolina State Barbeque Championship. The SCBA conducts a year-long contest running from January 1 to December 31 and each year the contest is held in over 35 different towns and cities across the state. At each barbeque cook-off that is sanctioned by the SCBA each team that is entered receives a score and that score becomes their points to be totaled at the end of the year. A team may enter as many contests as they wish but only their top ten (10) scores are totaled to determine the winner of the state champion. (In years past it was the top 12 scores that were considered). If a team enters more than ten events their lowest scores are dropped and only their top ten scores are counted. That way a team need not win a first place in every contest but rather they may win a number of first, second, third place titles as well as other placings. Nevertheless, at the end of the year the team with the ten highest scores is the obvious winner and is named the South Carolina State Barbeque Championship Team. 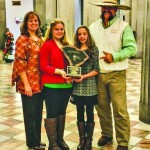 Three places are awarded, first, first runner-up and second runner-up and there is a ceremony held each January at the State House in Columbia where trophies and checks are passed out to the winning teams. This year-long, state-wide contest is the very best way to see which team is truly the state champion and it is an improvement over most other states that name a state champion if they only win one event one time. South Carolina was the first state in the nation to adopt this year-long, state-wide contest. 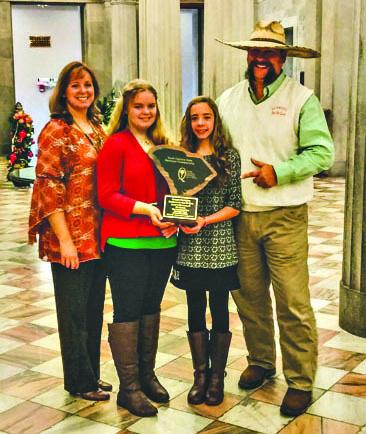 The 2015 Champion is Edgefield County’s own Gene Culbertson and his Backwoods Barbecue Team. Please be advised that Gene and his family can be talked into catering their Championship Barbecue victuals. Just call 864-993-9056.